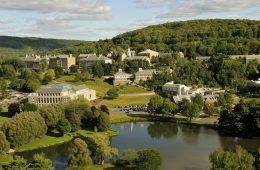 The Colgate community comes together each year to celebrate sustainability during 13 Days of Green. 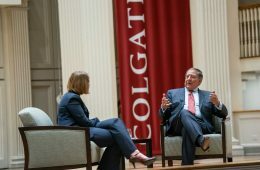 This Colgate tradition, with programs leading up to Earth Day, highlights local and global sustainability challenges and initiatives, and demonstrates what individuals can do to inspire change. 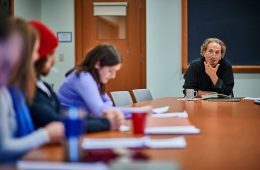 Peter Balakian, Donald M. and Constance H. Rebar Professor in humanities and professor of English, has been selected as the 2019 recipient of the Jerome Balmuth Award for Teaching. On March 25, as the academic quad filled with flags representing various queer identities, the annual week of Queerfest activities officially began. 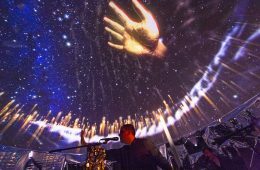 Events throughout the week destigmatized queer identities and educated allies, explored pleasure in a non-heteronormative way, and supported queer artists. 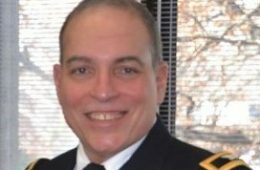 Rabbi Barry R. Baron, former command chaplain in the U.S. Army Civil Affairs and Psychological Operations Command (Airborne) at Fort Bragg, N.C., has been named associate university chaplain and campus rabbi at Colgate University, effective June 15. 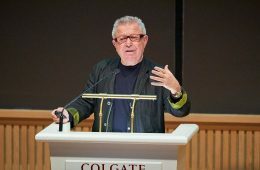 April 4–6 marked the campus debut of hybrid media artist Paul Catanese’s avant-garde opera Century of Progress / Sleep. The Ho Tung Visualization Laboratory was transformed for the production. 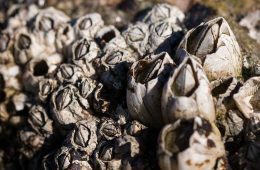 For most of us, barnacles are barely noticed. For ship owners, they are a nuisance. For Associate Professor of Physics Rebecca Metzler, they are a treasure — organisms unique in their ability to adapt to almost any marine environment. 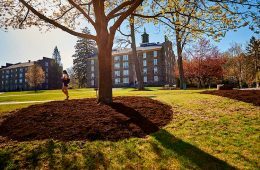 The Colgate community kicked off its annual celebration of sustainability, 13 Days of Green, with games and opportunities to learn about sustainable initiatives, April 10, on the academic quad. 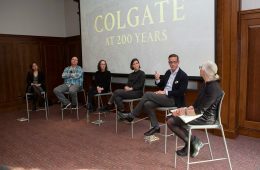 Colgate’s Leadership tradition, 200 years in the making, was on full display last weekend as alumni, parents, students, faculty, staff, and friends gathered for a series of celebratory events on campus. 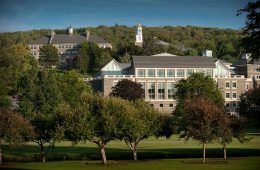 At the heart of Haven, Colgate’s survivor-centric support center for sexual violence, is a survivor herself. 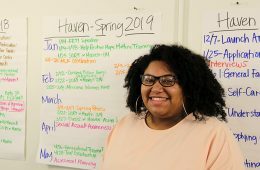 Tracia Banuelos said her experience of being assaulted at a young age, and the resulting difficulty in finding services herself, ultimately led to a career path where she is responsible for something she always felt was lacking in her journey as a survivor. Support. 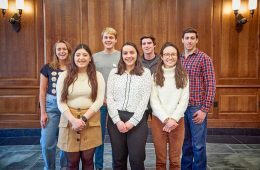 Alina Sabyr ’19 has been named one of only 41 Thomas J. Watson Fellowship recipients this year. 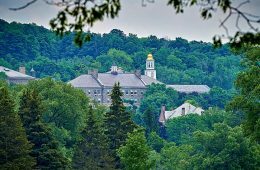 The competitive international award from the Thomas J. Watson Foundation will allow her to spend a year travelling around the globe in a self-designed, independent quest for knowledge. 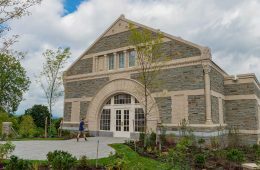 Colgate’s newest building, Benton Hall, is now its first to earn LEED Platinum certification from the U.S. Green Building Council. 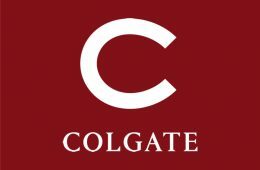 Through much deliberation, community feedback, and careful examination, Colgate is proud to announce its investment in several impactful carbon offset projects to mitigate remaining University emissions for air and automotive travel, and energy consumption related to buildings.